The world of Minimally Invasive Cosmetic Procedures, M.I.C.P.’s, such as Botulinum A (Botox) and fillers has become a part of today’s Dentistry. Dentist’s knowledge of facial anatomy, dental occlusion, diagnosis and treatment planning provide an opportunity to add in the development of this growing field. Botulinum A is employed by Dentists to alleviate discomfort caused by Temporomandibular Disorder (TMD). Gummy smiles, which would otherwise require surgical intervention, can be treated with Botulinum A. Angles classification of occlusion can give insight to the differences in faces and how they will age. Developing a treatment plan for not only the current face but the future face requires a level of diagnosing and treatment planning that Dentists practice on a daily basis. One of the world leaders and true innovators in lip augmentation is a Dentist, Dr. Robert Gordon. Dr. Gordon has written the irst book on lip augmentation “Vermillion Dollar Lips”. Dr. Gordon wrote his second book “Cupid’s Bow” geared towards the general public to share his knowledge pertaining to lip augmentation. Dr. Gordon is the author of two recent books that specialize in the art and science of lip augmentation. In addition Dr. Gordon has written numerous peer review and articles on facial esthetics. 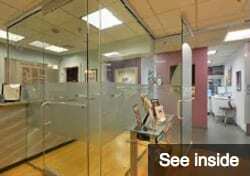 He specializes in Ortho-Facial Esthetics, which is the study of ideal facial esthetic corrections. Dr. Gordon’s first major contribution was a classification for evaluating and diagnosing the lip. As seen in diagram 1, Zone A on the upper lip, is right above the red of the lip, vermillion border, continuing to the bottom of the nose. Zone A on the lower lip continues to the chin fold. Zone B on the upper lip and lower lip is essentially in the middle of the lip. Zone C is the transition from Zone B, the bulk of the lip, to the oral cavity, the wet zone. The lip is further divided into sextants. The center of the lips is referred to segment 2 on upper lip, and segment 5 on lower lip. The corners of the upper lip are referred to segment 1 and segment 3. On the lower lip the corners are segments 4 and 6. Dr. Gordon, a.k.a. Dr. Lips, system of lip augmentation starts with a diagnosis of the patient’s lips. Diagnosing the start lip form determines the ultimate cosmetic result. 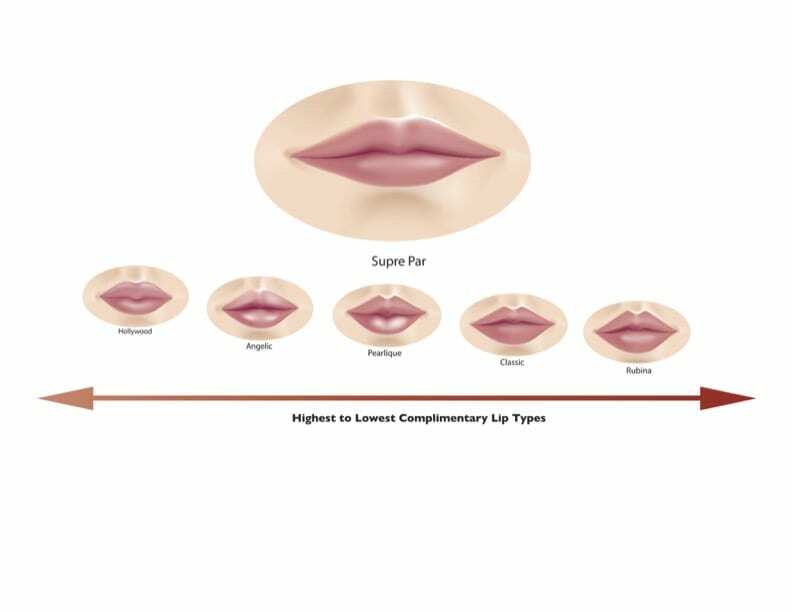 the three basic lip forms are based on Par, Latin term meaning even, where the upper and lower lips are the same size. Supra Par corresponds to having a larger upper lip. Infra Par, meaning having a larger lower lip presentation. 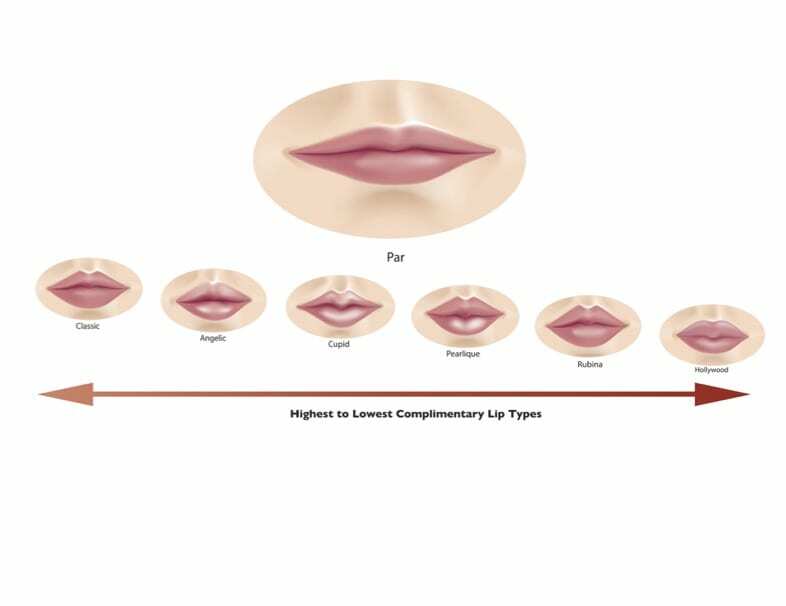 Dr. Gordon trademarked 8 lip styles, which have a repeatable pattern for lip augmentation. 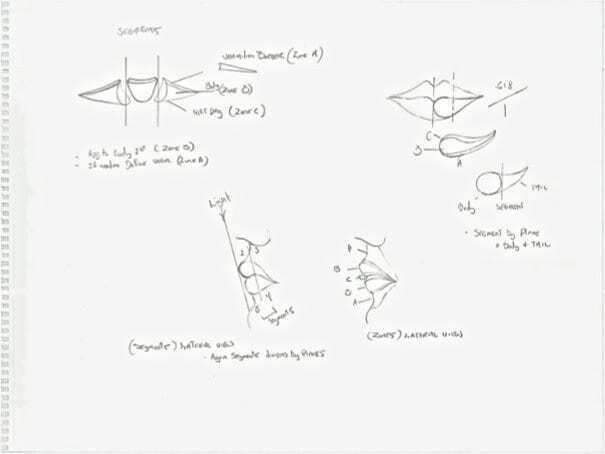 As seen in the following drawings, potential lip styles are more favorable based on the lip form the patient presents with. When the lips are closed, a line between them is formed. The line between the lips presents as an upward arch, straight across, downward arch or an incompetent lip. The line between the lips is often correlated to the underlying bite or dental anatomy. The main goal of Dr. Gordon’s lip styles is to enhance the natural forms and planes of the lip without destroying the natural form, thus only enhancing the lip. Constance, a 24 year old female, has a history of orthodontics and lip trauma.